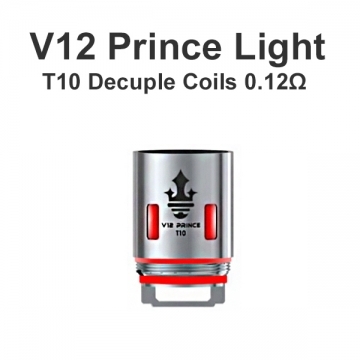 Those TFV12 Prince T10 Light Coils 0.12ohm are compatible with SMOK TFV12 Prince clearomizer. Price per 1pc. 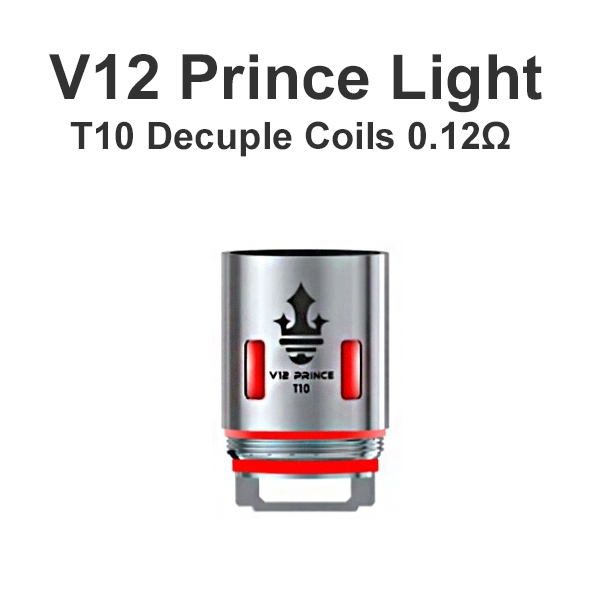 Those TFV12 Prince T10 Light Coils 0.12ohm are compatible with SMOK TFV12 Prince clearomizer.